After a relentless opening day at the Seamaster 2018 ITTF World Tour Swedish Open you would be forgiven for expecting things to slow down a little in Stockholm but there's no time for rest at the Eriksdalshallen with Day Two set to feature even more drama. Here's a quick look at the programme for Friday 2nd November. Up first we have fixtures from the two doubles events as the eight remaining pairs in each competition battle it out in quarter-finals action. Table 3 will host an intriguing match in the Women’s Doubles contest as players from the Korean Peninsula meet face-to-face – named as top seeds for the competition, Jeon Jihee and Yang Haeun take on fellow Korea Republic compatriot Suh Hyowon and DPR Korea’s Kim Song I for a spot in the semi-finals. With the second and third seeded pairs out of the picture, top seeds Ho Kwan Kit and Wong Chun Ting now carry the tag of outright favourites in the Men’s Doubles draw but will they come unstuck against the very capable Swedish duo of Mattias Falck and Kristian Karlsson? 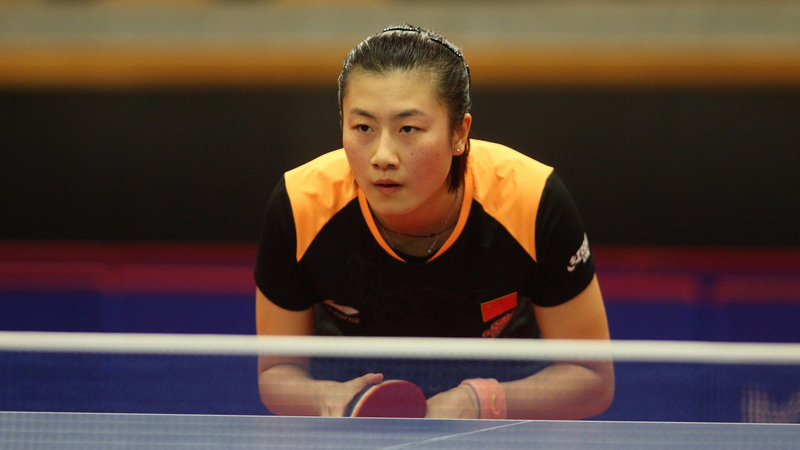 Qualifier Liu Gaoyang pulled off a dramatic opening round win in the Women’s Singles event and she will need an even bigger performance on Day Two as she prepares to meet top seed Zhu Yuling. The seeding list would suggest one-way traffic in Zhu Yuling’s favour, but if Day One taught us anything it’s not to rule out the unexpected – Liu Gaoyang is not to be underestimated! However, surely the main event of the last 16 comes later in the day as Chen Xingtong and Ding Ning meet in a repeat of last year’s final. In an epic contest it was Chen Xingtong who came away smiling in 2017, will we see the same outcome one year on? China’s Xu Xin has never lost to Jun Mizutani in an ITTF World Tour Men’s Singles match, however, at the 2016 Olympic Games the pen-hold star did suffer a five games defeat at the hands of the Japanese competitor in the Men’s Team final. The two will meet in the second round of Men’s Singles action in Stockholm on Day Two in what should prove to be a cracking encounter. The other Japanese player left standing in the draw, no.8 seed Koki Niwa faces a tricky fixture against Swedish hopeful Kristian Karlsson while Korea Republic’s Jang Woojin and Lim Jonghoon, who were both responsible for opening day upsets, confront one-another.